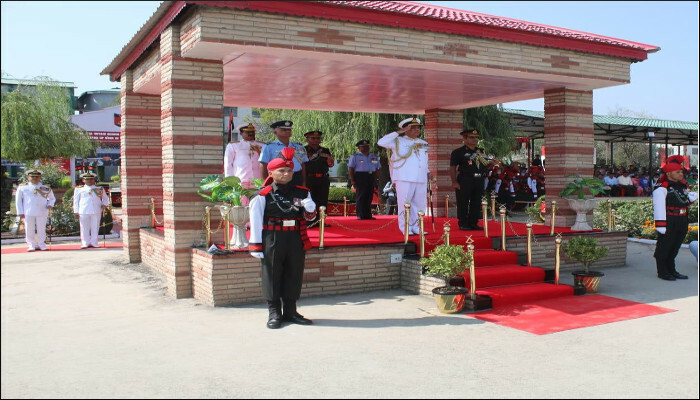 In continuation with the strong tradition of jointmanship, and in order to enhance mutual understanding between the Armed Forces, INS Kochi and Jammu and Kashmir Light Infantry Regiment (JAK LI) were affiliated, during a glittering ceremony held at the JAK LI Regimental Centre, Srinagar, on 20 August 2018. 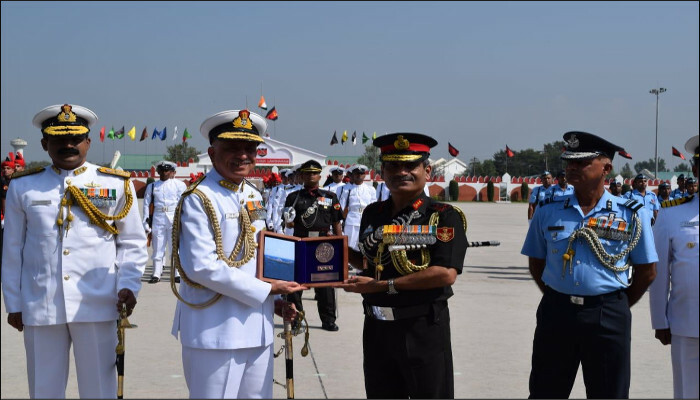 The ceremony was presided over by Vice Admiral Girish Luthra, Flag Officer Commanding-in-Chief Western Naval Command and Lt Gen Satish Dua, CISC and Colonel Commandant of the JAK LI Regiment. 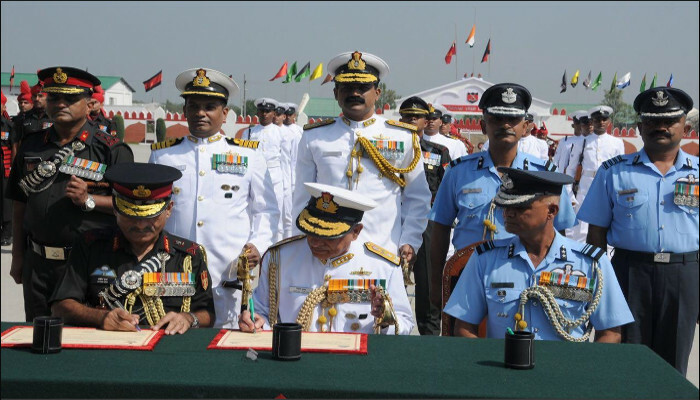 Along with FOC-in-C West and CISC; Rear Admiral MA Hampiholi, Flag Officer Commanding Western Fleet, Brigadier Suresh Chavan, Comdt JAK LI Regimental Centre, and Capt Shaji Kutty, Commanding Officer, INS Kochi were the other signatories to the Affiliation Charter. 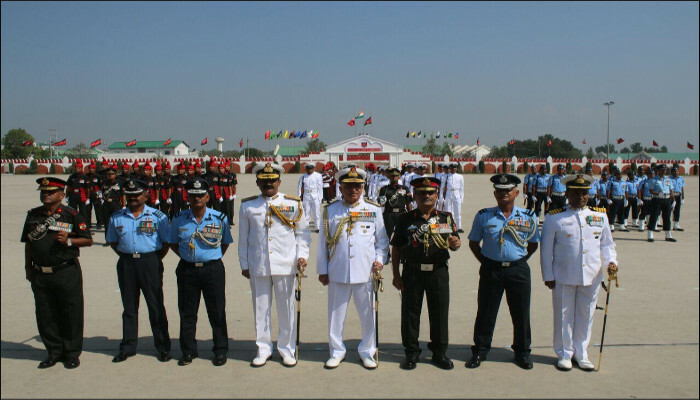 Concurrently, the JAK LI Regimental Centre was also affiliated to 51 Squadron of the Indian Air Force, based at Srinagar itself. 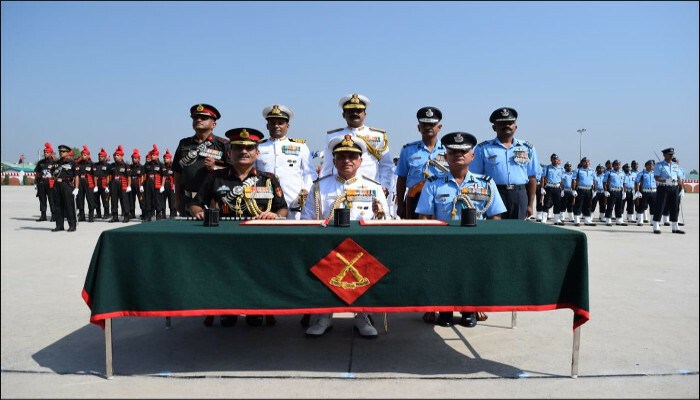 The Ceremony was also attended by Lt Gen AK Bhatt, General Officer Commanding 15 Corps, J&K, and other dignitaries from the three Services. The ceremony generated a lot of pride and camaraderie between personnel of the affiliating formations. Incidentally, it is for the first time that an Affiliation Ceremony involving an IN ship and an IA regiment has been conducted at the Regimental Centre, rather than onboard the ship. INS Kochi is the second ship of the indigenously designed and constructed Kolkata Class guided missile stealth destroyers built by Mazagon Dock Ltd at Mumbai. She is named after the vibrant port city of Kochi and is packed with state-of-the-art weapon and sensors. 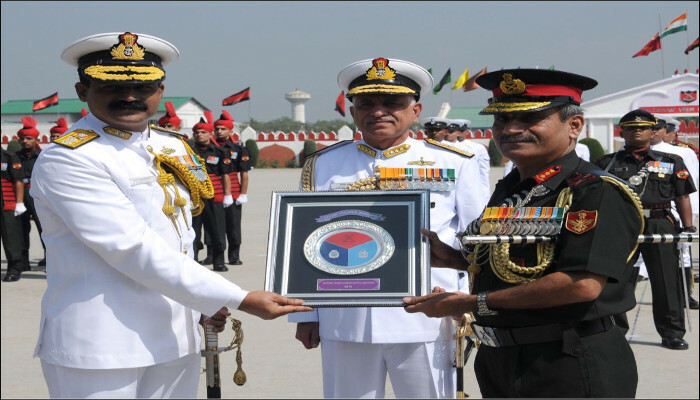 JAK LI Regiment was earlier affiliated to INS Ganga which got decommissioned with honour and fanfare in March 2018. Both JAK LI (which raised itself) and INS Kochi are indigenous, thereby bringing forth the indomitable spirit of unity - 'Kashmir se Kanyakumari Tak'.